Roast pork, if done correctly, can be quite enjoyable. There are two key things to remember. Room temperature and rest. Preheat oven to 475 degrees. 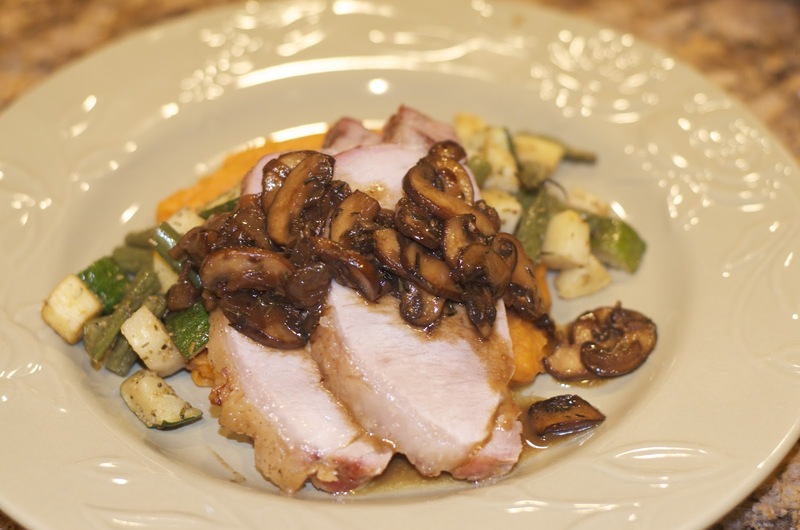 Generously salt and pepper pork loin and place on a sheet pan. 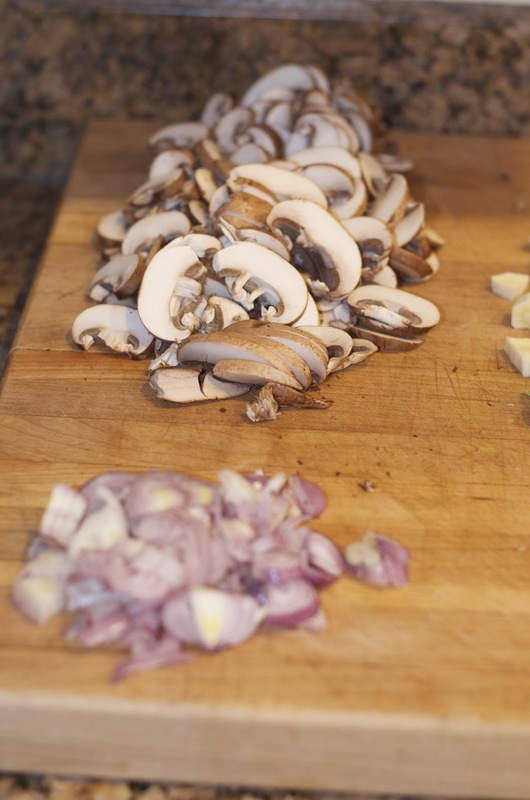 Cook for 15 minutes and then reduce heat to 325. Cook an additional 1-1/2 hours or until done. 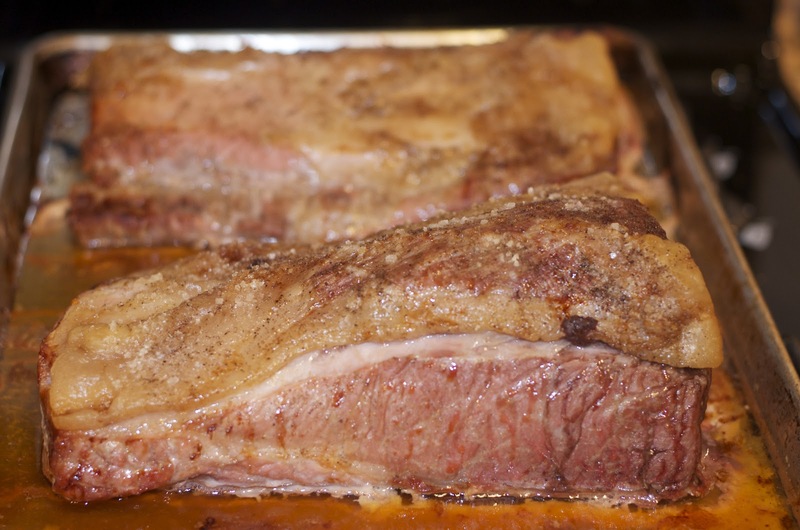 Use a meat thermometer to check internal temperature. 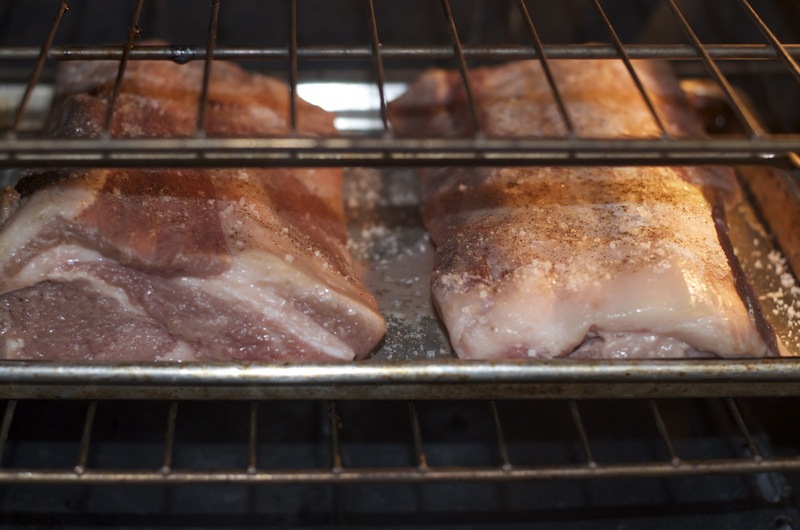 Remove from oven, place a foil tent over the top of the loin, and allow to rest for 15-20 minutes. Carve when you have already plated the other foods. Preheat oven to 425 degrees. 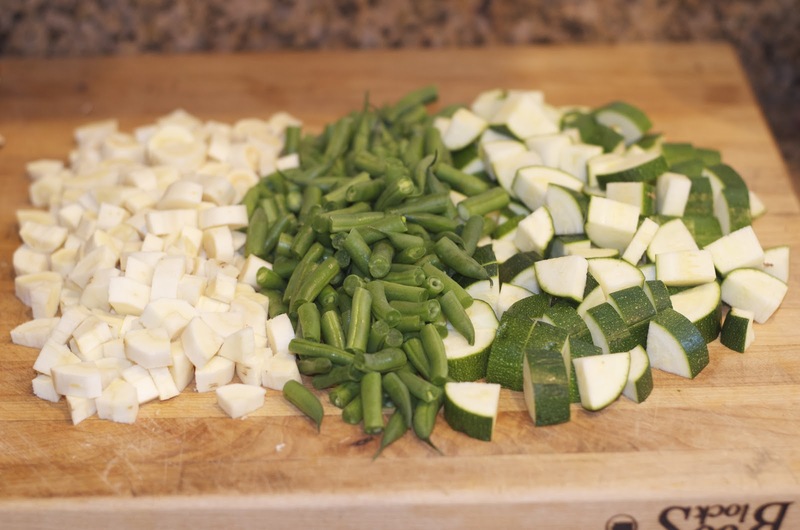 Chop vegetables so they are uniform in size. Mix together in a large bowl. 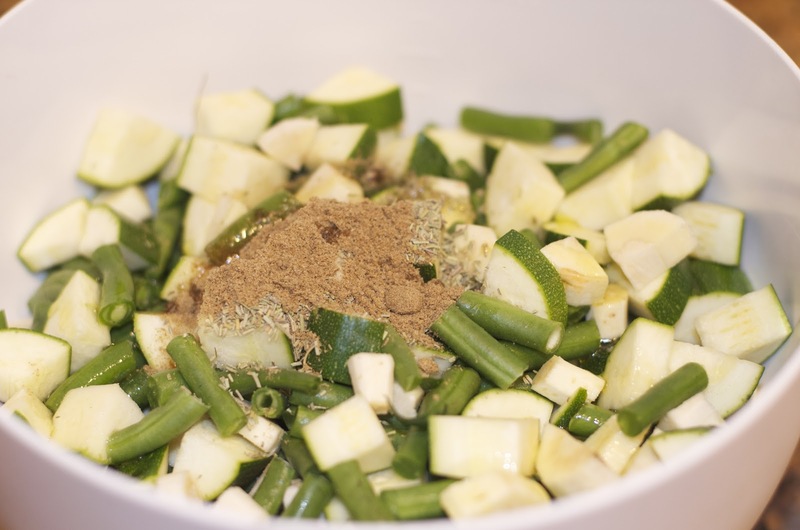 In a small bowl, mix herbs, oil, salt and pepper. 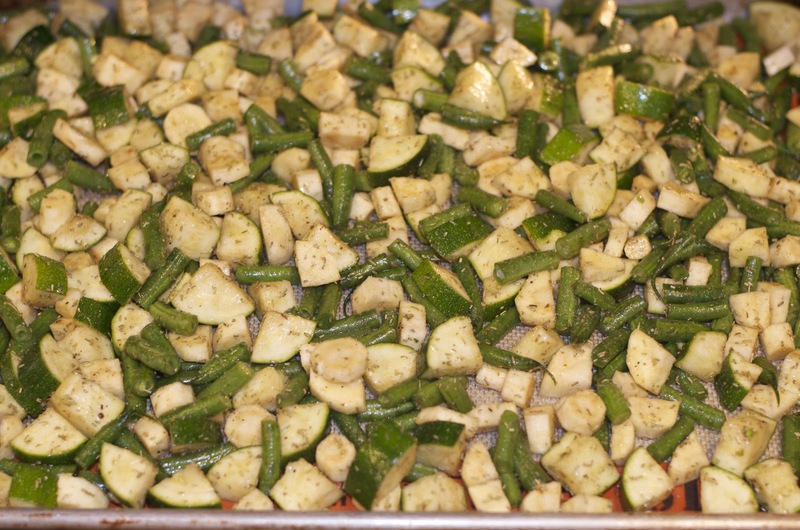 Fold in herb oil with vegetables and then place on a sheet pan evenly. Cook 15-20 minutes until they are done. Steam potatoes. When they are soft, add them to a food processor. Pulse to break them down. Mix stock and almond milk. Add stock mixture and process until smooth. Salt and pepper to taste. Heat oil in a large saute pan over medium high heat. 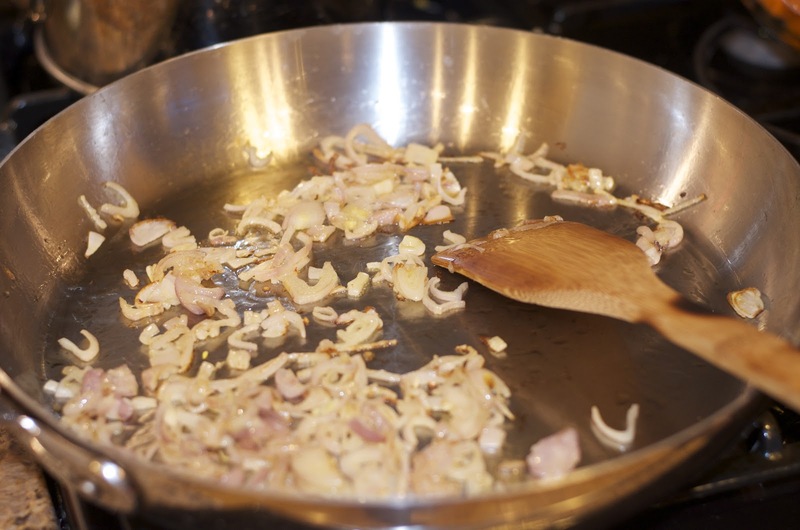 Add shallots, cooking until they start to caramelize. 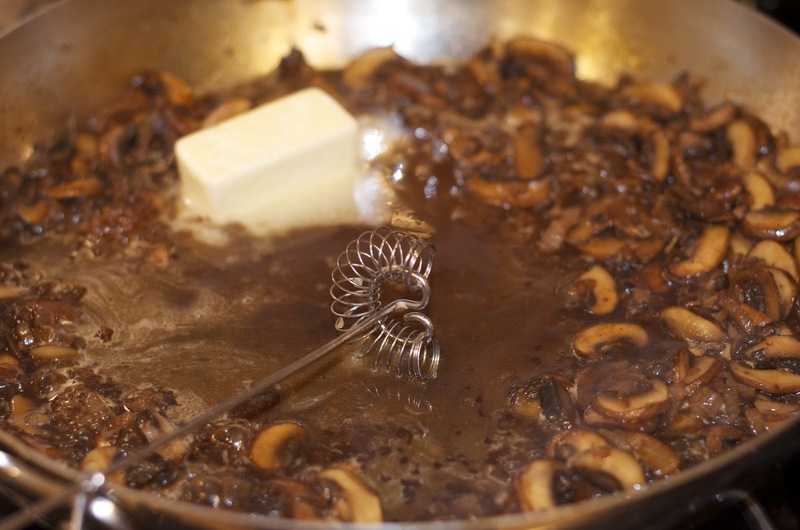 Add mushrooms, cooking until the moisture is released and then absorbed again and they begin to caramelize. Add stock and reduce by half. 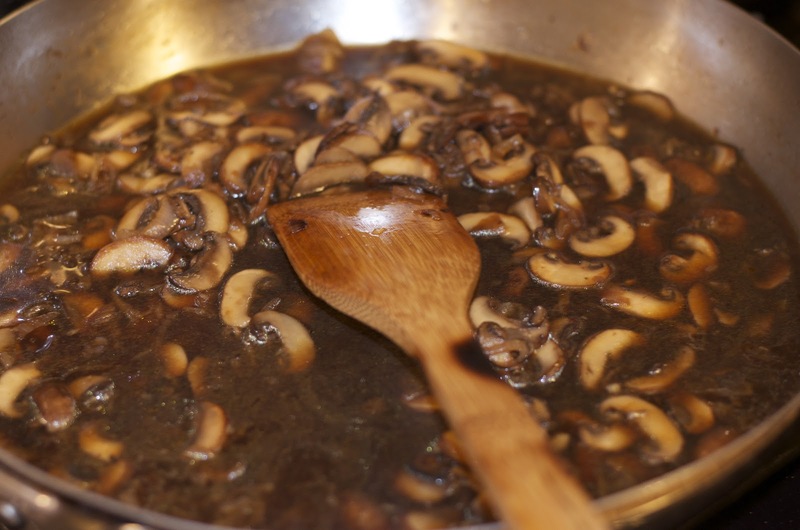 Add Marsala, and reduce by 1/2 again. Reduce heat to medium, add butter, whisking until it is incorporated. Whisk in thyme and then salt and pepper to taste.